As June approaches, I have been receiving a slew of wedding invitations. Many of the invitations are for my friend’s children who I have watched grow up. It is hard to believe that my own 17 year old daughter will be just around the corner. Of course, I hope it is later rather than sooner. I must admit that it is fun to daydream about a future wedding. Our lovely contributor, Jessica, has gathered some beautiful wedding photographs. 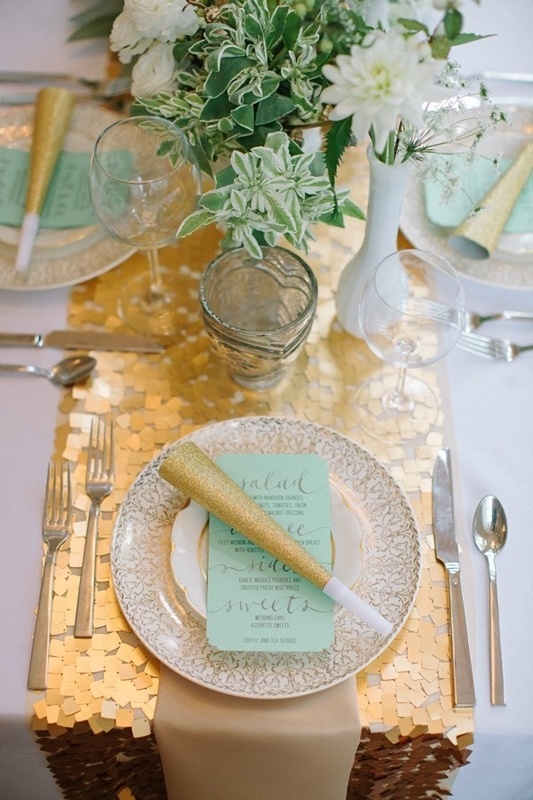 How does one select just a few images of inspiring, colorful wedding photographs? It’s impossible! After scouring the internet and Pinterest for a few too many hours I managed to find a few spectacular examples. I hope you find them to be as well. Weddings are so personal, a direct reflection of the couple getting married. 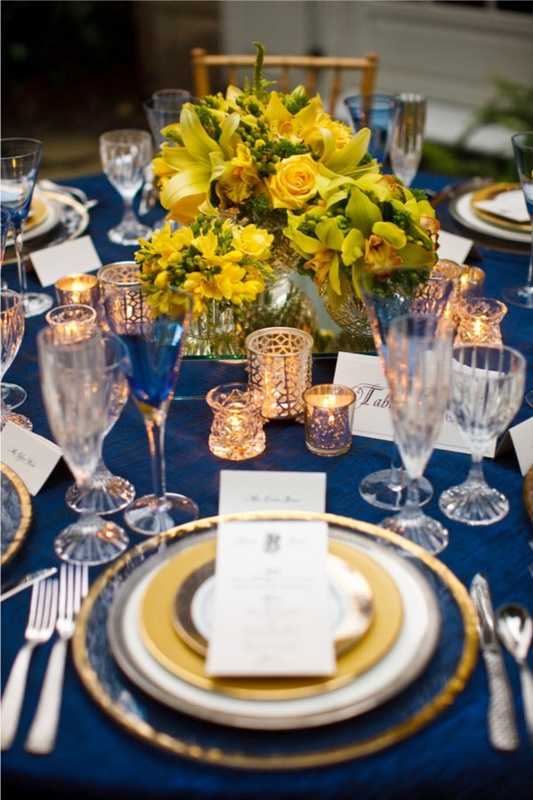 When planning a wedding there is so very much to take into consideration. What is the lifestyle? Where do the bride and groom live? Will there be a theme? Is color important? 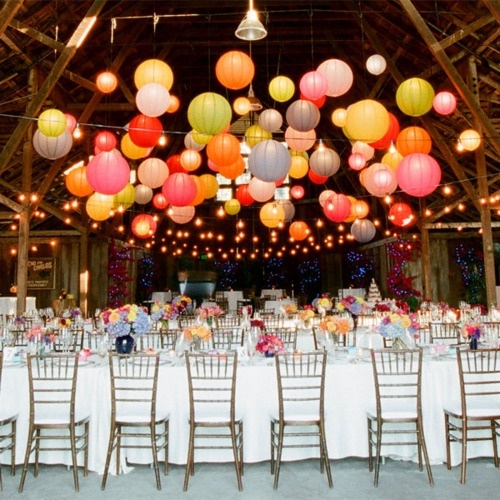 And, most importantly, the wedding decor should be a direct reflection on the bride and groom’s personality. 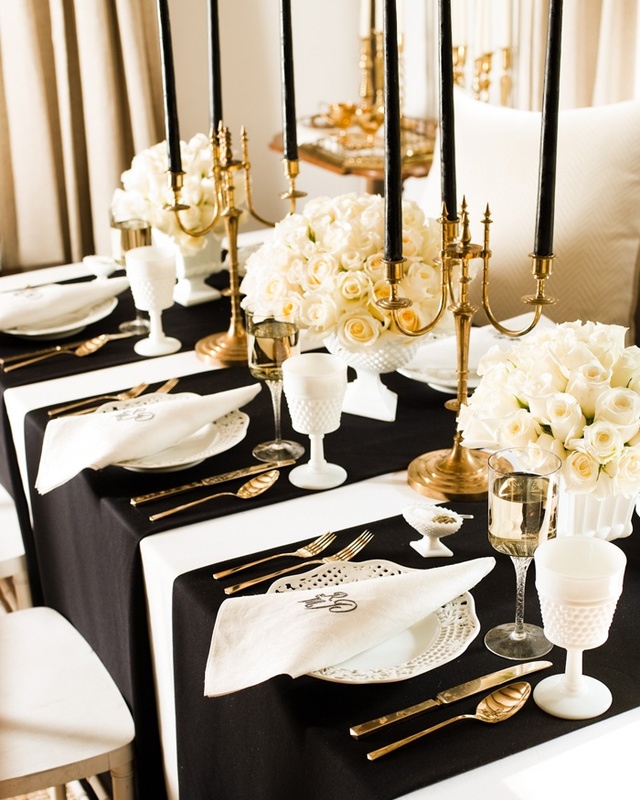 This black, gold and white table setting suggests a more mature, elegant and sophisticated bride and groom. This could have been a city wedding and was most likely a formal evening affair. By contrast this scene suggests a lively, fun loving and energetic couple who doesn’t necessarily take themselves too seriously. This couple wants their guests to relax, kick back and enjoy the night! This daytime garden wedding gives the sense of a casual sophistication. 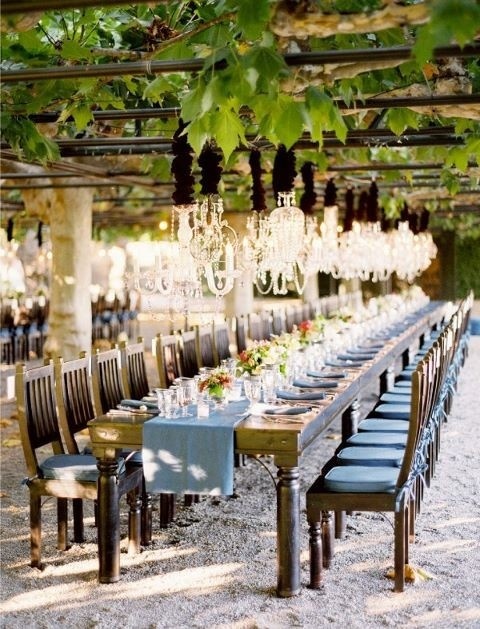 The tablescapes and the gorgeous light fixtures add an air of elegance, while the outdoor daytime setting give this scene a more relaxing feel. 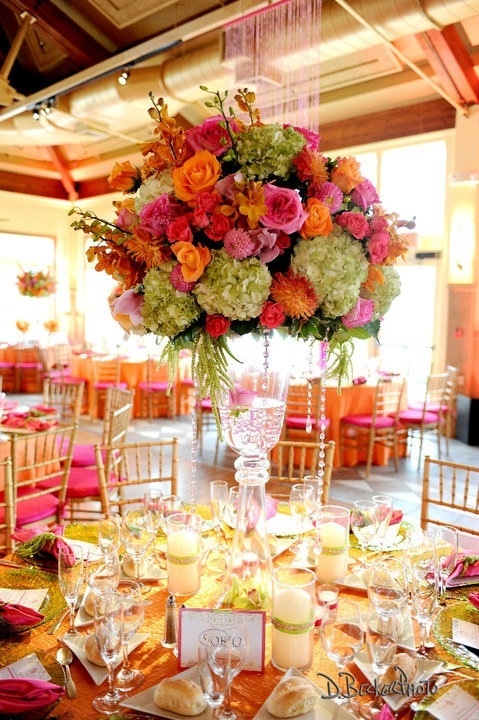 Color is everywhere in weddings these days. The more the merrier, brighter, bigger and bolder. 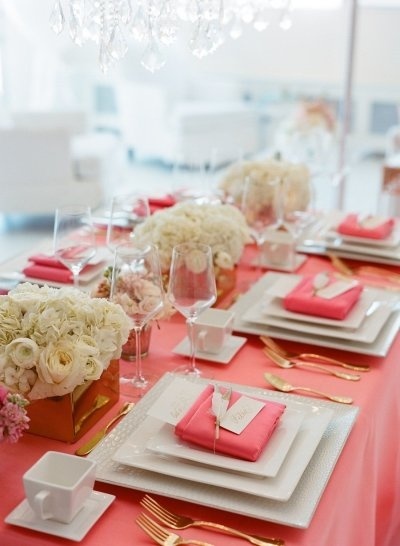 Today’s brides are having fun with color and it seems there are fewer and fewer all white weddings taking place. There seems to be one color that is growing in popularity and seems to pop into nearly every color theme, as it has in these photos I have chosen. Can you figure out which one it is? Today’s brides seem to be having fun with their wedding planning. Fun and whimsy is popping up all over the place! Themed weddings are still very popular. 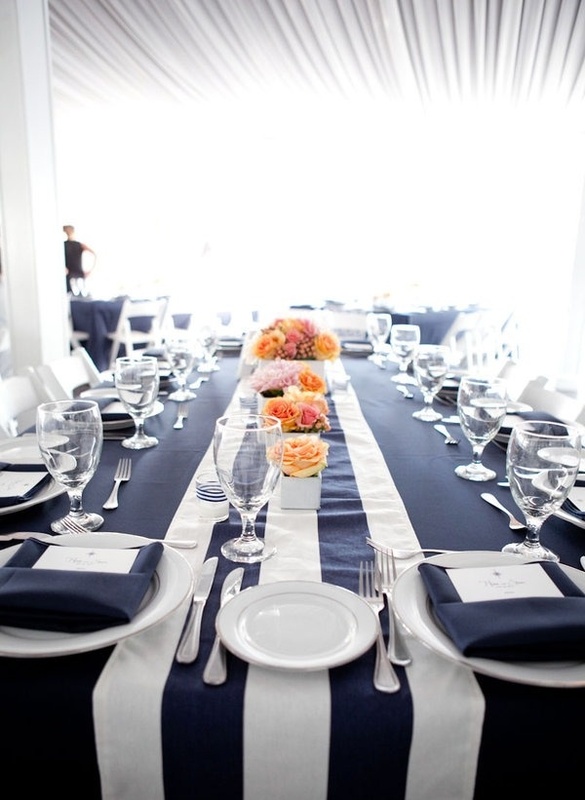 Nautical weddings are popular up and down the East coast. 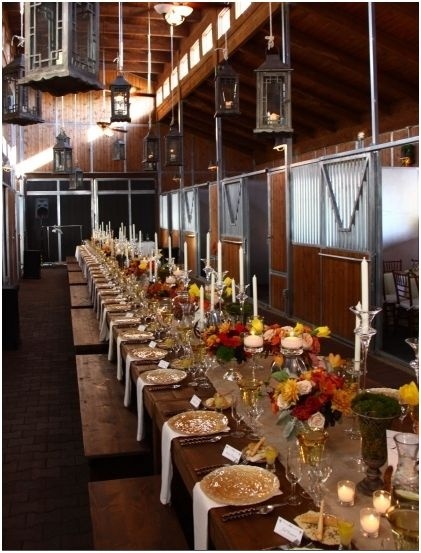 Barn and country western weddings are more popular in horse country and in Southwest. 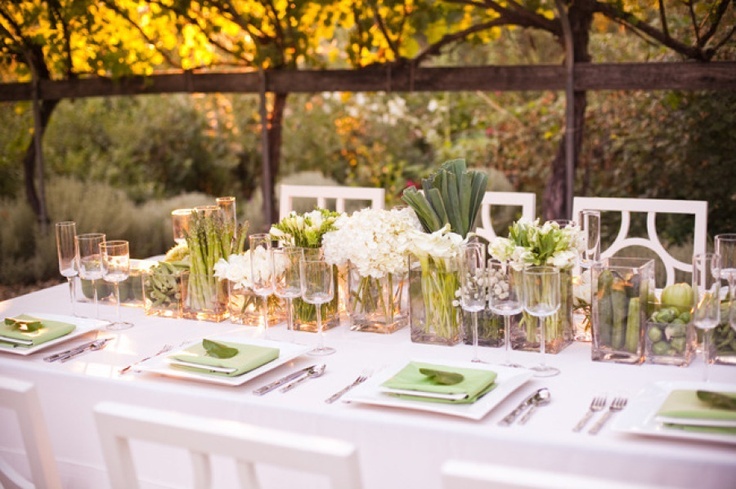 Outdoor weddings such as farm to fork, or those set in wine country are also popular. And beach-themed and country club weddings will always be a popular choice among brides. We hope you’ve had fun with this piece and that you may have taken a stroll down memory lane, or that it’s inspired your own wedding plans! Such beautiful wedding photos gathered by my new friend from Blogfest, Jessica, for one of my favorite blogs, Hadley Court! Sure is a small world. Keep up the great work, Leslie and Jessica!